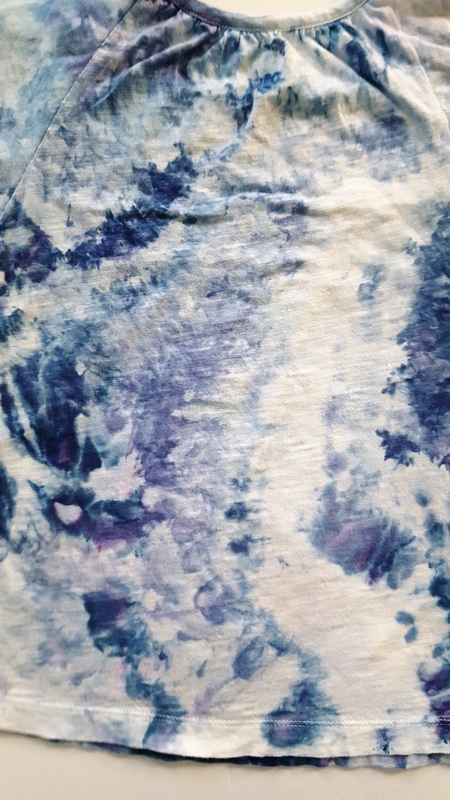 Pretty pink and purple blend made by ice-dying technique. 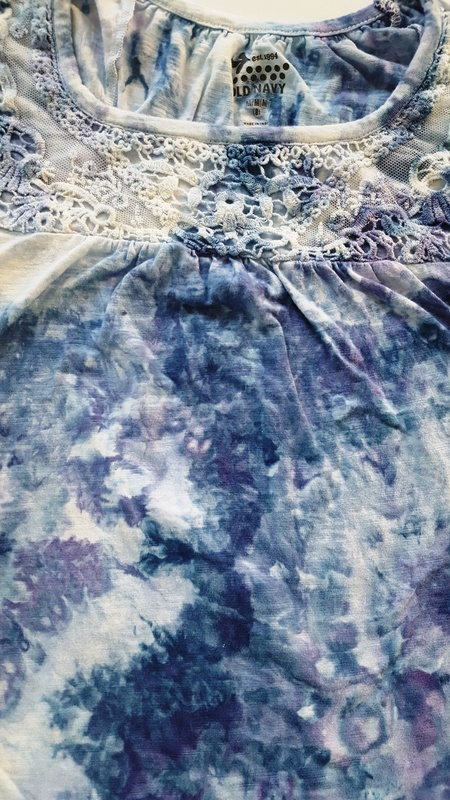 Ice-dying is similar to tie-dying except ice is used with dry dye to make the marbled effects. 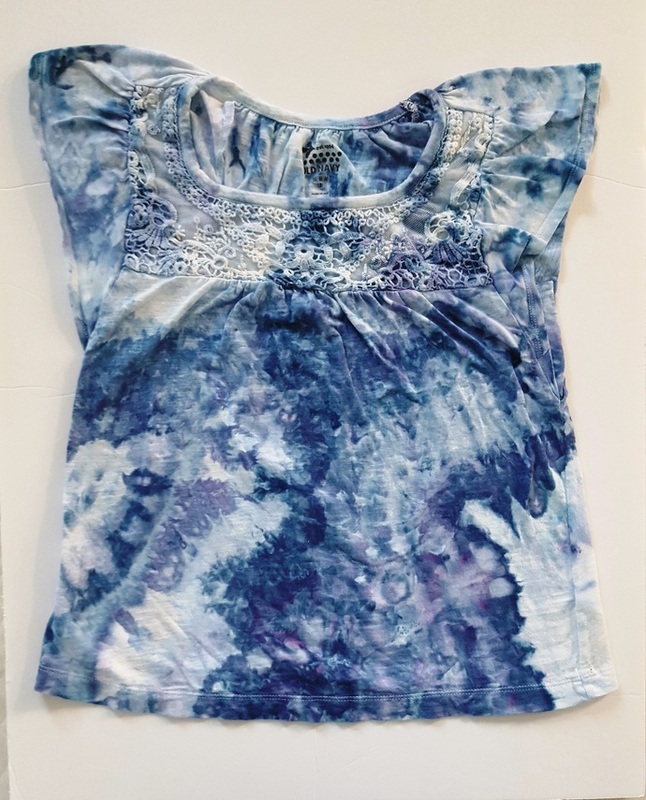 Size girl's medium 8; 31 below the arm holes. 18" long. 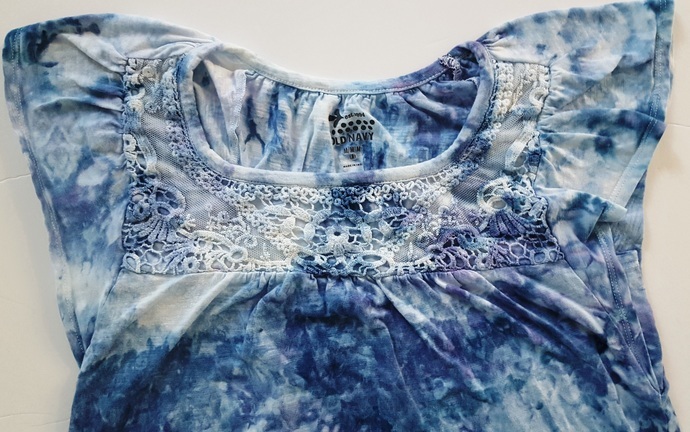 This was a new product before dying; the original top is a "Old Navy brand.